SUMMARY: Murder in the Generative Kitchen intertwines parallel plots: the Chicago murder trial of McConnery Ellis, a wealthy middle aged woman accused of poisoning her husband with a gourmet meal prepared with the help of her AI “smart kitchen”; and the efforts of juror Julio Gonzalez to hook up with Iris, a beautiful fellow juror, at the Acapulco resort where they have been sent to watch trial footage. The futuristic trial system, “Vacation Jury Duty,” enables the lucky jurors to stream daily testimony through sleek headsets as they enjoy the amenities at the court-owned resort. But there’s a catch: as in jury trials today, they are forbidden to communicate with other jurors. Under constant surveillance by the resort’s security guards, Julio struggles to devise ways to catch Iris’s attention. He also becomes fascinated by the trial, in which attorney manipulated sims interrogate a lively parade of human witnesses. The plots converge when Julio returns to Chicago for deliberation and valiantly attempts to seduce Iris with his command of the facts, as the jurors clash over whether the murderer is Mrs. Ellis, or a high tech kitchen capable of intuiting–and fulfilling–its owner’s innermost desires. THE BACK STORY: The concept for Murder in the Generative Kitchen arose during the weeks I served as an alternate juror on a criminal trial. The experience was frustrating because, as an alternate, I was not allowed to deliberate, and by the end of the trial I wanted to discuss the case with my fellow jurors. Forced to spend long days cooling my heels in the waiting room at the Hall of Justice (where I had to stay for the duration of the deliberation), and watching as groups of people (all looking angry or miserable or both) were herded in to report for service and then assigned to courtrooms for the voir dire questioning process, I wondered: what would make people want to serve on a jury? My answer was the Vacation Jury Program, in which people chosen for long trials involving sequestration would get to travel to a tropical resort, where they would stream the trial footage every day. While I know that such a system would not be economically viable, the concept gave me a chance to think about the ways that the legal system, and jury service, might change in the future, especially in response to new technology. WHY WOULD SOMEONE WANT TO READ IT? The gap between our high expectations that technology will make our lives easier and the reality that such technology may cause more problems than it solves, gave me plenty of opportunities for plot complications and satire in the novella. 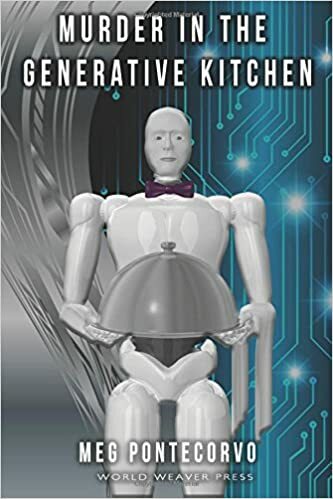 Murder in the Generative Kitchen is dystopian, but aims to entertain and will appeal not only to science fiction fans, but also to readers interested in legal / courtroom dramas. Workshop, and a denizen of drawing and painting classes at a variety of art schools in San Francisco. I have published a novelette, “Grounded,” in Asimov’s, and my artwork in collage and pen has been featured in experimental video performances in the Bay Area. A native of Philadelphia, I grew up in the Midwest and now share a small apartment with my partner and cats in San Francisco. At this rate of moving westward, I may end up retiring in Hawai’i! AUTHOR COMMENTS: Isaac Asimov’s three laws of robotics, long a staple of science fiction, have finally crossed the borders of fiction into reality: “1) A robot may not injure a human being or, through inaction, allow a human being to come to harm. 2) A robot must obey orders given it by human beings except where such orders would conflict with the First Law. 3) A robot must protect its own existence as long as such protection does not conflict with the First or Second Law.” While these laws may have had relatively clear application to the humanoid robots in Asimov’s narratives, today “robots”–intelligent machines–infiltrate our lives, and thus the situations in which the laws should apply are becoming increasingly perplexing, from an ethical perspective. The debates about driverless cars (should they be programmed to protect passengers, even if that means killing a pedestrian?) may soon apply to the domestic sphere, as we give intelligent computers the power to cook for us and maintain our homes. When reading science fiction narratives centered on the laws of robotics, I’ve always wondered: why are the scientist / inventors the ones empowered to make the decisions about the scope of an intelligent machine’s agency? If machines are governed by “laws,” then wouldn’t our legislative system, rather then the makers of the machines, determine those laws, which would then be tested in the courts? Speculating about these questions led me to develop dual plot lines for Murder in the Generative Kitchen: the perspective of Vacation Juror Julio Gonzalez, and the trial testimony that reveals details about the capabilities of a high-tech–and highly adaptable–“smart kitchen.” Although the issues at stake for the characters are serious, I wanted the book to be a fun, fast reading experience, so I crafted a short narrative–novella length–and am planning at least one sequel that will not only extend the story, but also complicate it through the point-of-view of new characters (such as the challenges faced by the defense lawyer in the murder trial). 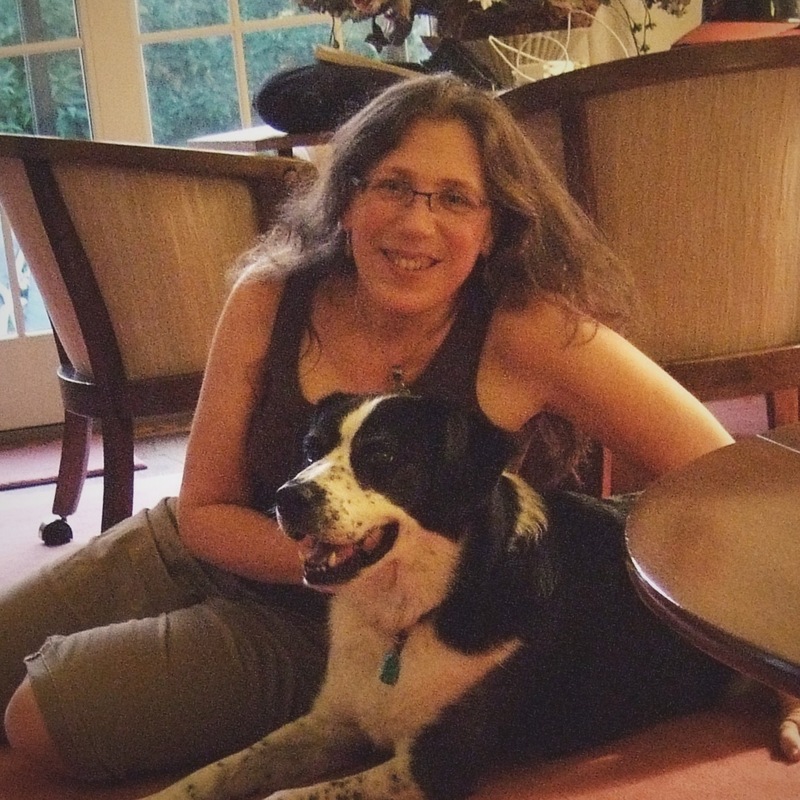 Picking lint from her rumpled blue cardigan, McConnery Ellis, the only human in the virtual courtroom, slumped at the defense table beside her cylindrical steel attorney. Like the other robotic sims surrounding her–grey judge, blue prosecutor, purple jurors–the spring-green defense bot was a cheap model, with an expressionless face and a body whose range of motion varied according to which attorney manipulated it in the control room. Its polished torso, buffed to a liquid sheen, reflected the courtroom like a funhouse mirror. At a nod from the judge, the blue prosecution bot rose for the opening statement. It bowed to the judge and faced the video camera affixed to the right corner of the jury box. “Members of the jury” said the blue bot, “the woman sitting in front of you is a killer. On the night of September tenth, 2060, the defendant, McConnery Ellis, prepared dinner for her husband, George Alexander Ellis. They had been married thirty-two years, and they ate together most evenings. At approximately 7:00 p.m., Mrs. Ellis brought his meal to the table and joined him a minute later with hers. Just after she sat down, he took a few bites and collapsed. She called 911. The medics arrived eight minutes later to find him dead. You will learn from their testimony that scans of his body revealed traces of cyanide, which was later confirmed by police pathologists as the immediate cause of death. After the team failed to resuscitate Mr. Ellis, the head medic scanned his meal–trout almondine, served with almond garnished rice and green beans–and found cyanide. Mrs. Ellis’s food was poison-free. “Mrs. Ellis had the resource, a generative kitchen, to create a meal infused with cyanide. Moreover, she had a motive. A year before his death, Mr. Ellis had retired from his position as Executive Vice President of Signature Ventures Corporation. But after he transitioned to a life of leisure, Mrs. Ellis had problems adjusting to his constant presence at home. She spent more and more time in the kitchen. On the afternoon of September tenth, the Ellises argued about her use of said kitchen. That evening, she went into the kitchen and prepared George Ellis’s final meal. Trout almondine, laced with cyanide. “On the night of her husband’s death, no other person came near that kitchen while Mrs. Ellis made dinner. And the evidence will show that the presence of cyanide in Mr. Ellis’s food was no accident: the advanced nature of a generative kitchen leaves no possibility for error. Likewise, because a generative kitchen must be programmed to suit its owner’s needs, Mrs. Ellis must have carefully planned the means and method of her husband’s demise. LOCAL OUTLETS: Borderlands Books, 866 Valencia Street, San Francisco, CA 94110 (415 824-8203).